Renault Clio 1.2 16V Play 5dr 2019 Review | What Car? What Car? will save you at least £1,883, but our approved dealers could save you even more. 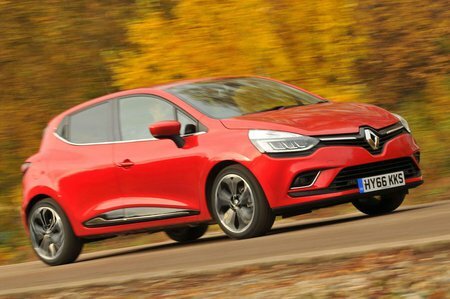 The 1.2-litre 74bhp engine is a carry-over from the previous Clio and it feels like it, with notably higher CO2 emissions than the 0.9 three-cylinder motor. Renault clearly sees it as a value proposition, because it’s the only engine with which you can specify the cheapest, basic Expression trim. You can at least order it with the more appealing Dynamique Nav trim, too, though. The four-cylinder motor’s not bad, in fact, but we’d look elsewhere in the range.